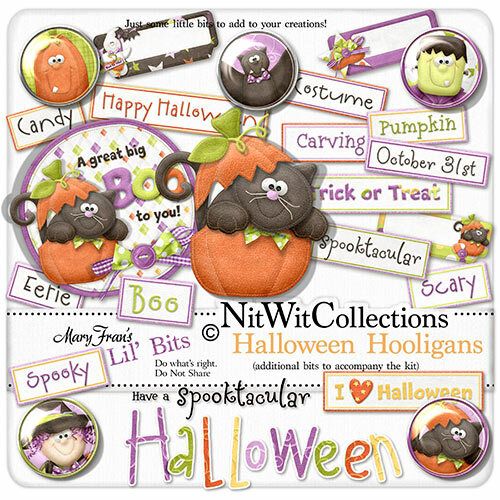 Here are some "Lil' Bits" that are great little additional elements to go with my "Halloween Hooligans" Fat Quarter Bundle kit. Yup, just some lil' embellishments to add to your layouts and cards! 1 Pumpkin Cat - Now this is something that you don't see every day! 1 Wordart "Halloween" - really....did you think I'd miss this one?